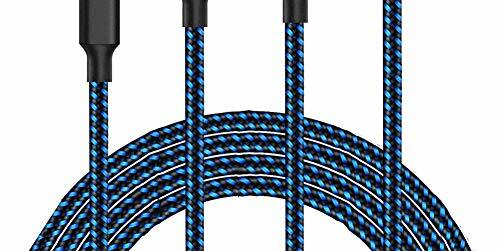 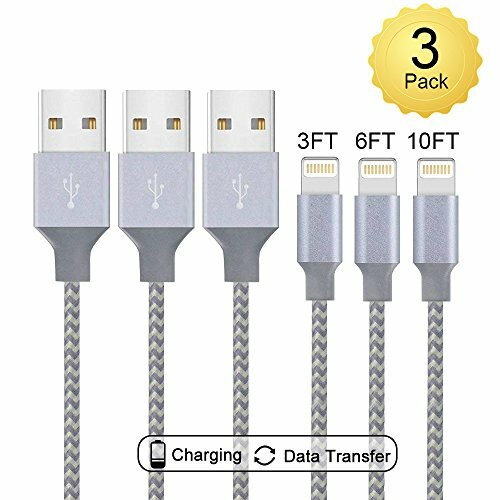 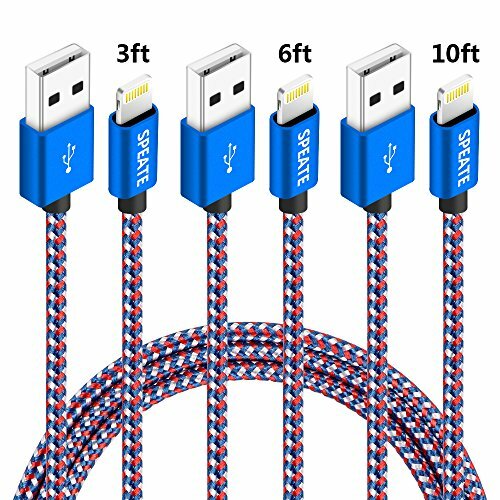 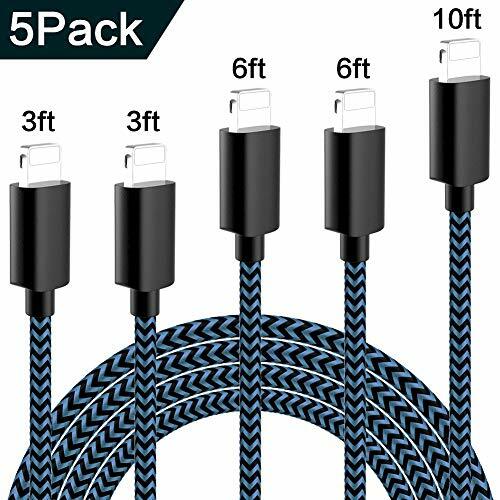 <b>[Nylon braided]: </b>This nylon braided lightning cable is tangle free and robust promises you a perfect experience in charging your devices. 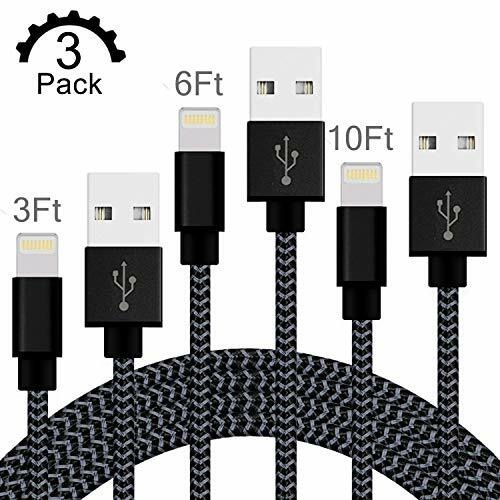 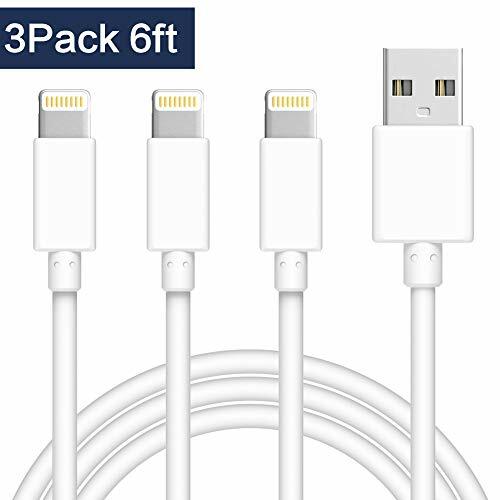 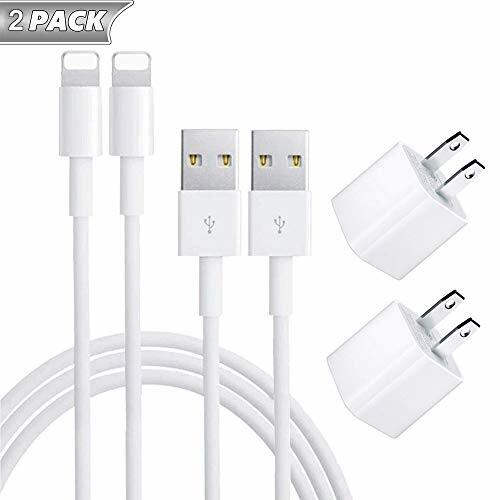 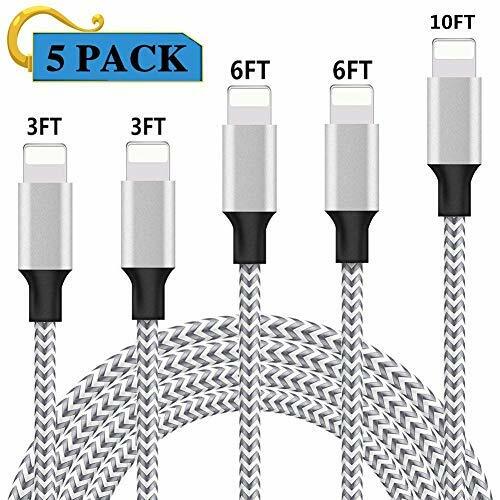 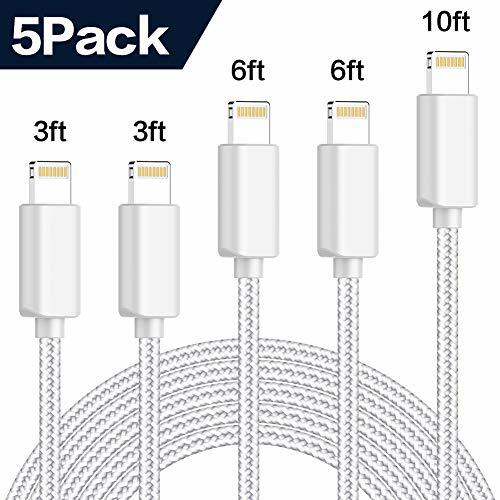 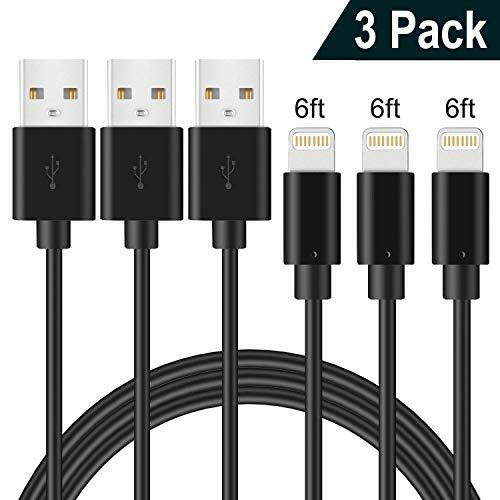 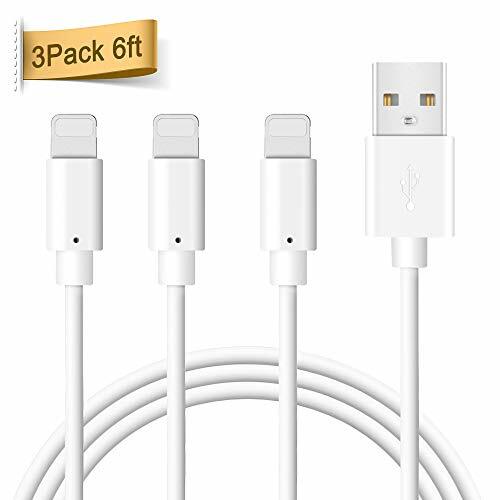 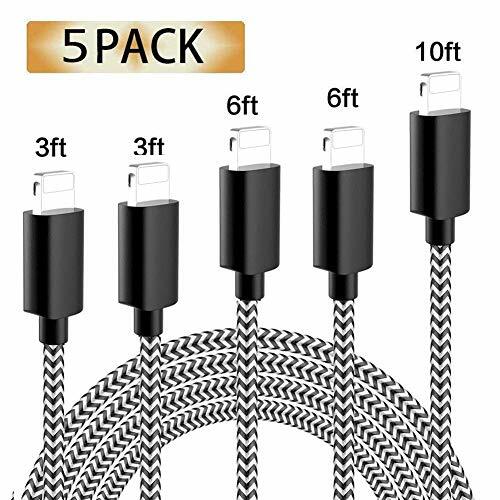 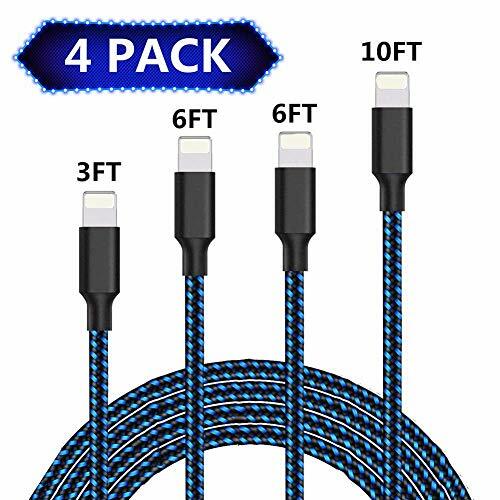 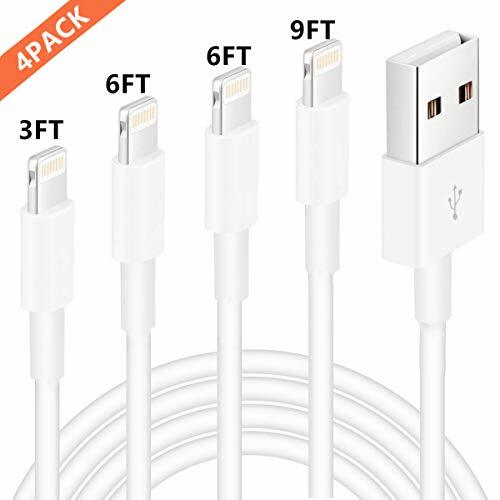 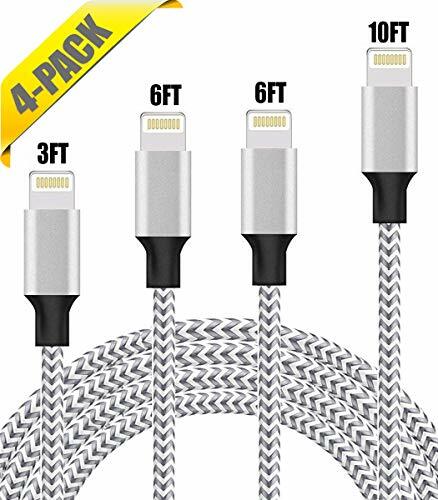 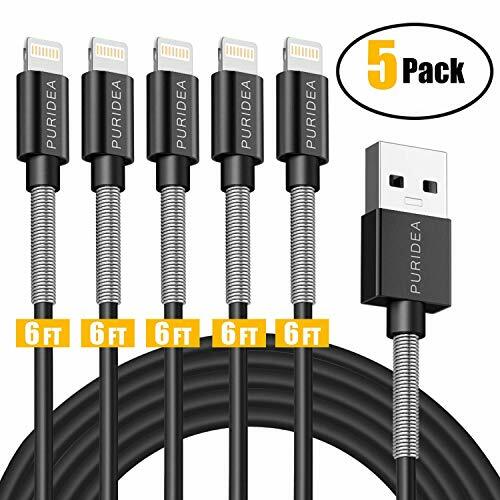 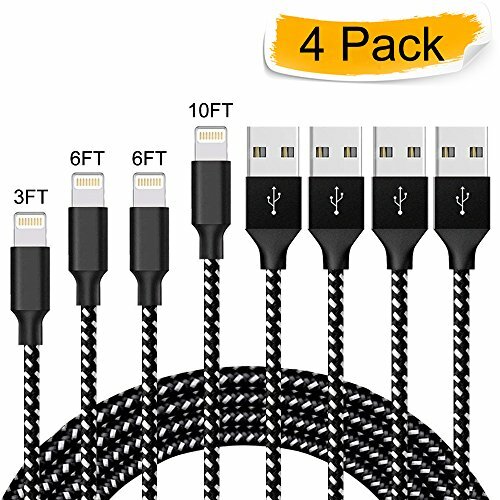 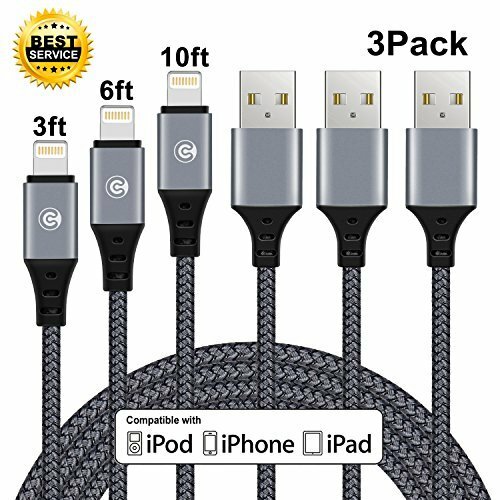 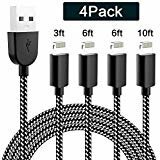 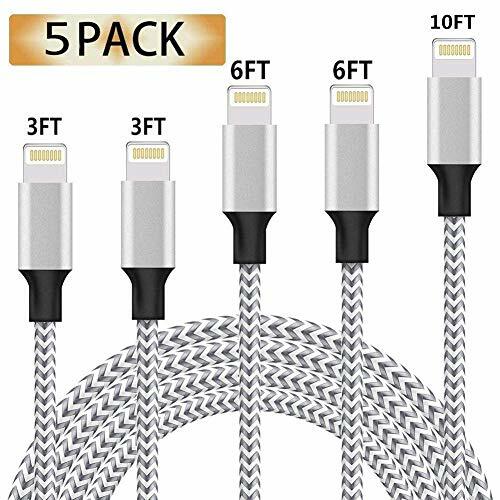 <b>[Compatible iPhone charger]:</b>Compatible with iPhone X,8,7/7 plus, 6/6s/6 plus/6s plus, 5/5s/5c/SE, iPad, iPod Nano 7, iPod touch. 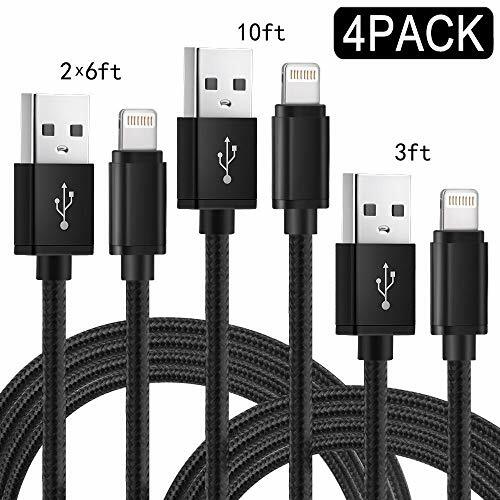 <b>[Assorted Lengths]: </b>4 Pieces ! 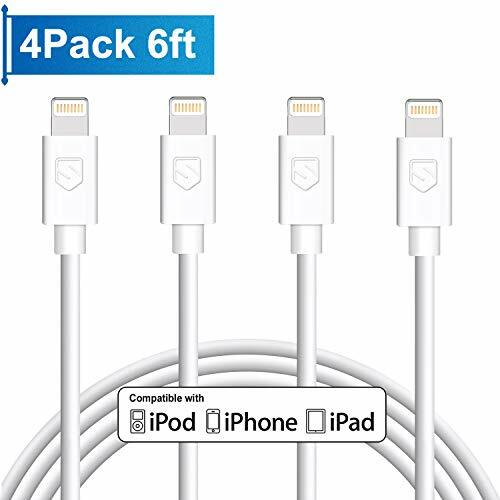 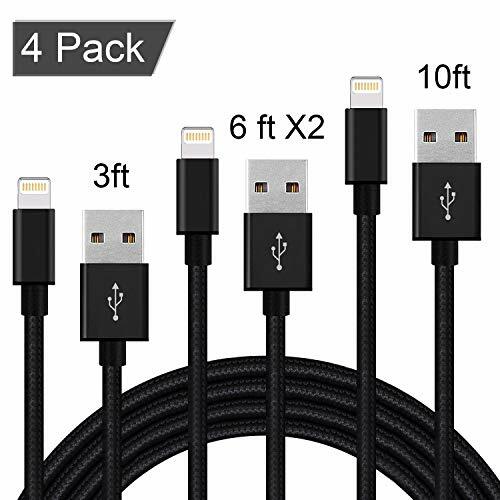 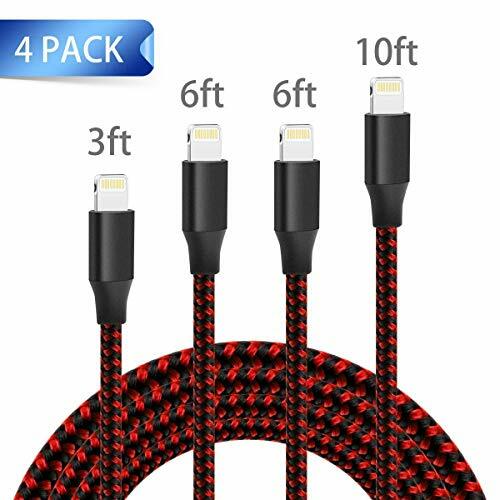 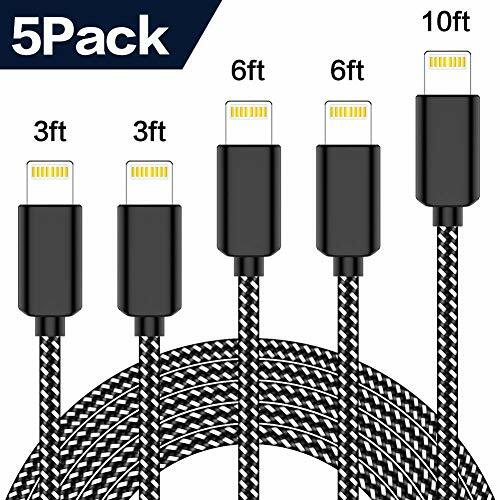 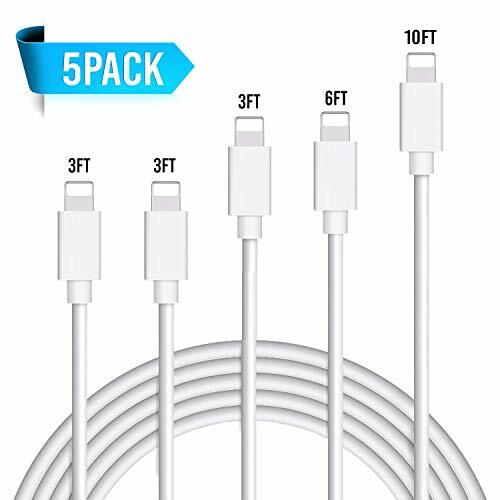 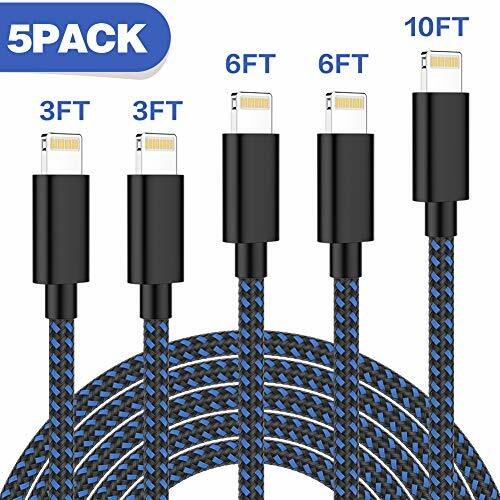 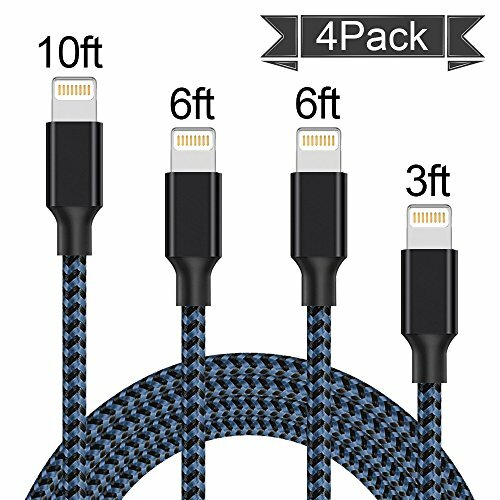 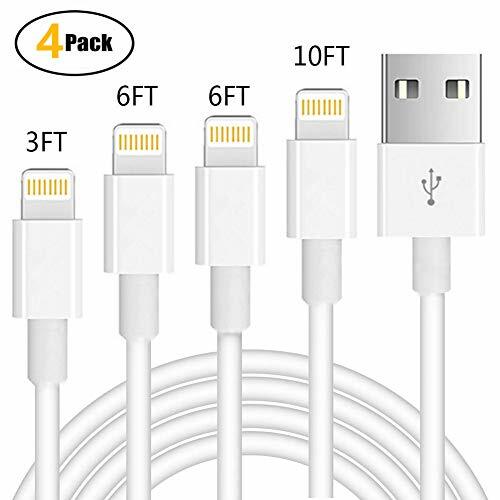 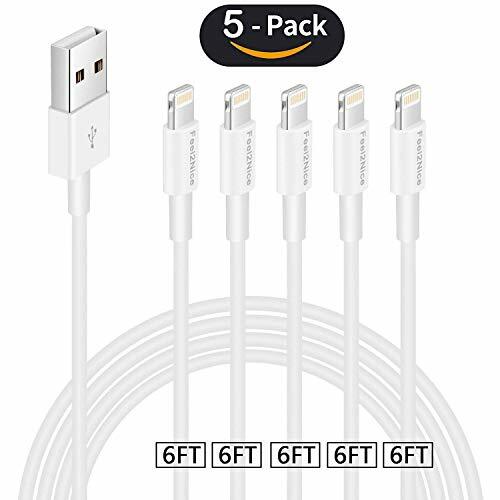 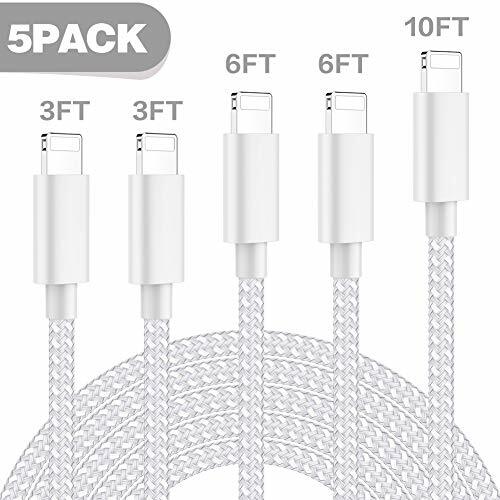 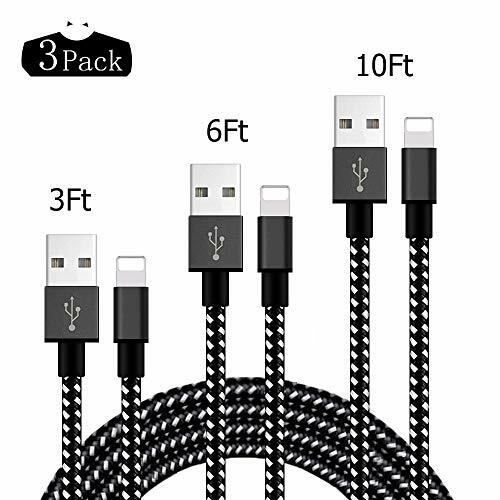 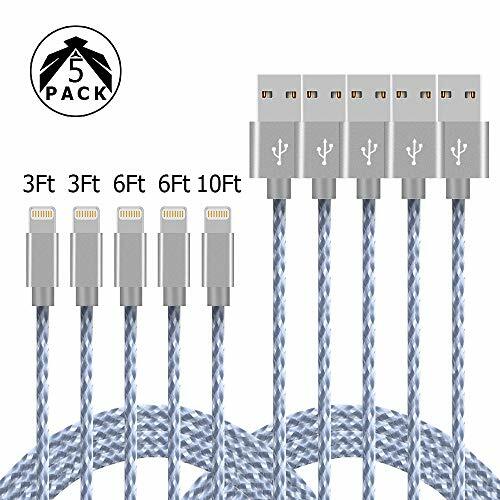 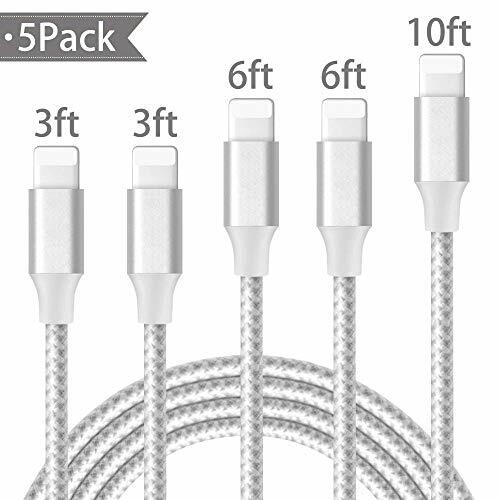 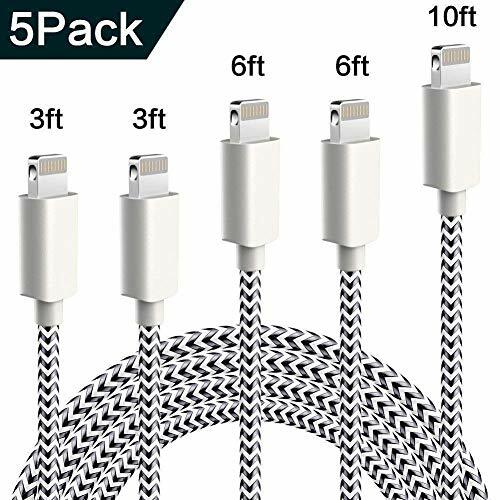 Every package contains four iPhone cables in different lengths 3 ft, 6 ft, 6ft and 10 ft for various distances charging! 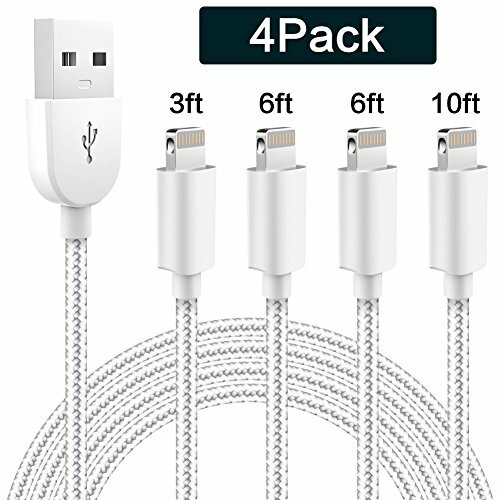 Make your life more convenient. 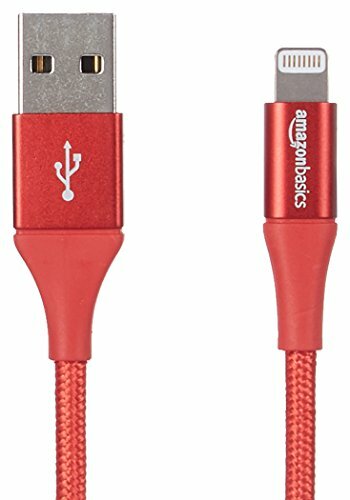 <b>[Fast Charge and Data Transfer]:</b> High-quality copper wire maximizes signal quality and increases durability. 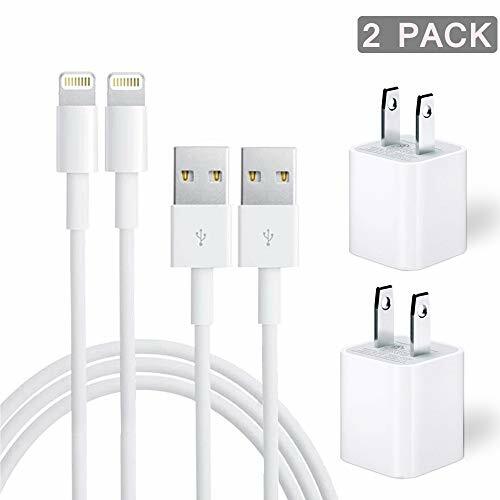 Sync and Charge at fast speeds on your lightning devices. 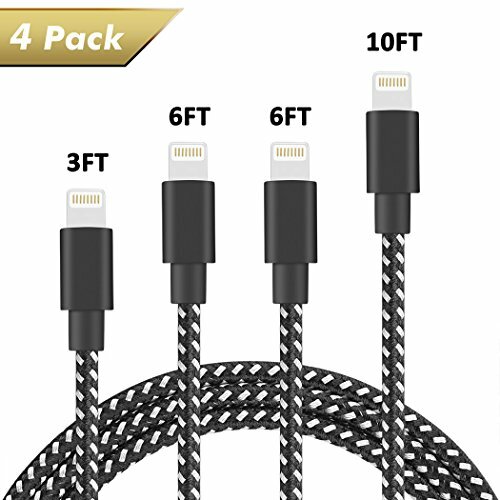 Our technology teams make thousands of tests to ensure 100% safety for your device. 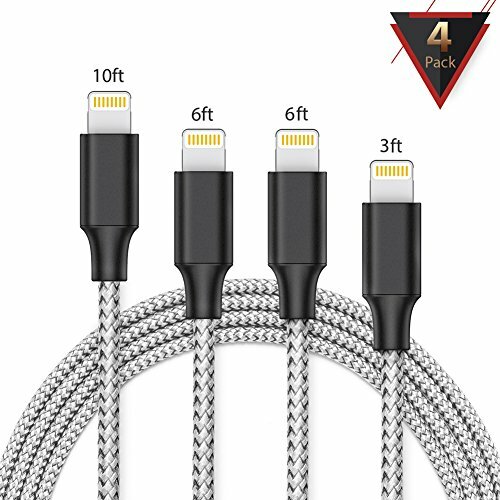 <b>[Warranty and Service]:</b> Every sale includes an 18-month, worry-free guarantee to prove the importance we set on quality. 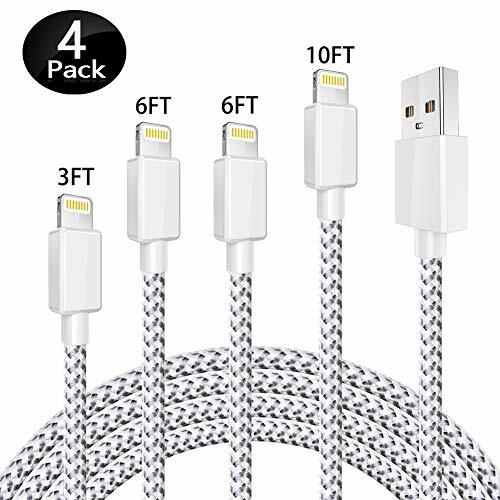 If you have any questions, don't hesitate to contact us!